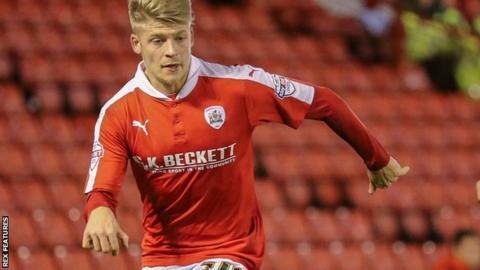 Barnsley have extended Southampton midfielder Lloyd Isgrove's loan spell until the end of the season. The 23-year-old former Wales Under-21 international has made 13 appearances for the Tykes in all competitions since joining from the Saints in October. "I'm enjoying my time here working with the gaffer and players," he told the club website. Meanwhile, Burnley defender Kevin Long, 25, has extended his loan spell with the League One side until 30 January.